The constant media line from Western capitals is that Africa would be a much better place if only its leaders were to act in the interest of their people and not line their own pockets. But what happens to the very few who act on this principle? The assassination of a popular young President almost three decades ago in one of the continent’s poorest countries is the price that people like him have to pay for taking the message on board. Thomas Sankara became President of the West African nation of Upper Volta in 1983 — he renamed it Burkina Faso (land of the upright people) — a country so low down the pecking order even in Africa that the worst insult for the Soviet Union was to be called Upper Volta with rockets. Sankara, the son of a gendarme who had fought in France, was sent to Madagascar for his officer training course. He was radicalised there after witnessing large demonstrations and strikes against a corrupt regime and became acquainted with Marxist literature. Sankara was propelled to presidency in August 1983 after a series of military coups in which he participated but was not the leading figure. The new President lasted only four years before being killed by soldiers loyal to, Blaise Compaore, once his trusted ally, on the staircase of the presidential palace. In these four short years, Captain Sankara gained the affection of his people with his austere lifestyle, wide-ranging social care programmes and economic growth but also unforgiving hatred from the national elite as he stripped power away from them and international notoriety for challenging Western influence in the continent. At the start of his presidency, the President rode a bicycle to work but was persuaded to upgrade to a Renault, among the cheapest cars available in the country. He did away with air-conditioning in his office and sold off the fleet of official limousines. He lowered his own salary and forced top civil servants and army officers to donate a month’s salary for public projects. He declared his assets and his children studied in the public education system. Sankara lived in a small brick house and dressed in locally produced cotton clothes. He was a competent jazz guitarist and all he had at the time of his death were a car, four bicycles, three guitars, a fridge and a broken freezer. His only luxury was a pistol with mother-of-pearl handle. New wells and reservoirs collected the scanty rainfall and farmers were encouraged to tackle soil and erosion and produce organic fertiliser. The former U.N. Special Rapporteur on the Right to Food, Jean Ziegler, said these measures and a massive land distribution created an agricultural boom that eradicated hunger in only four years. A “vaccination commando” immunised 2.5 million children in 15 days against meningitis, yellow fever and measles. By 1986, a U.N. assisted programme brought river blindness under control. An “alpha commando” involving 35,000 people tackled the 90% illiteracy rate, educating people in nine indigenous languages. Hundreds of new schools and medical dispensaries were built, many of these by communities with their own hands. Often there were not enough teachers or doctors to staff the new establishments. Burkina Faso started a huge public housing programme and nationalised the country’s mineral wealth. Sankara was an environmentalist and women’s right advocate much before these had become part of public discourse elsewhere, much less in the continent. A campaign to plant 10 million trees was begun in 1985 to slow down the Sahara’s advance. The President marked September 22 as a day of solidarity when men were encouraged to go to the market and prepare the family meal so that they experienced what women faced daily. A new family code set a minimum marriage age, established divorce by mutual consent and outlawed bride price. Public campaigns were undertaken against female genital mutilation, forced marriage and polygamy. Women were appointed to high offices and made up a fifth of his last two Cabinets. Sankara began ringing alarm bells in the West as he went beyond domestic radicalism to challenging the global debt and aid industries. “Debt is a cleverly managed reconquest of Africa,” he said, “a reconquest that turns each one of us into a financial slave”. The lenders would not die if the debt were not repaid, he told the U.N. General Assembly, “but if we repay, we are going to die”. He asked African leaders in 1987 to repudiate their debts en masse. The country’s old dispossessed elites were desperate to depose him. The soldiers who carried out his killing were trained in Ivory Coast by the Liberian war criminal Charles Taylor. They were linked to his Defence Minister Compaore, a one-time Communist and son-in-law of Ivory Coast’s President of the time. President Francois Mitterrand was the last foreign dignitary to visit Burkina Faso, where he rebuked Sankara, hand on shoulder, for speaking too sharp and straying too far. There are suspicions that Mitterrand’s convicted arms dealer son, Jean-Cristophe, who advised him on Africa and was known in the continent as ‘Papamadit’ (daddy told me), might have been involved with the plot and was perhaps the conduit to Paris. Campaore justified his coup with the argument that Sankara had damaged relations with neighbouring Ivory Coast and France. After his assassination on October 15, 1987, even as all the gains of the brief revolution were overturned, Sankara earned the sobriquet of Black Che. Ernesto Che Guevara too was killed in October, twenty years earlier, while trying to foment revolution in Bolivia. Last year, Campaore was forced to flee the country after a huge popular protest when he tried to cling on to power. This September the ousted dictator’s praetorian presidential guards tried to pull off a coup, which the United States and France apparently knew beforehand. Both these countries have Special Forces stationed in the country and have a strong interest through mining corporations in Burkina Faso’s gold and manganese reserves. Another popular mobilisation forced the army to overturn the coup by the rogue unit. Thomas Sankara was denied justice during the almost three decades of Compaore’s rule. Now his body is to be exhumed and apparently the responsibilities for the murder investigated. The legend of Thomas Sankara has refused to die down in West Africa. Thousands of young Africans make their annual pilgrimage to his nondescript grave. Reading the tea leaves of Sunday’s elections in Catalonia, which accounts for a fifth of Spain’s GDP, it can be safely divined that the ruling Partido Popular (People’s Party, PP) will lose its majority in the December general elections. Though the elections were for the regional parliament, it was seen as a plebiscite for Catalan independence after the Madrid government and the country’s Supreme Court disallowed an independence referendum. The turnout was a record 77.4%, up 10% since the last elections three years ago. The pro-independence parties together won 72 of the 135 seats and will keep governing the province, as they have for decades. Of these, the Junts pel Sí (Together for Yes) coalition won 62 seats, losing seats and votes, while the radical pro-independence and anti-capitalist Popular Unity Candidacy (CUP) won 10 seats. The two groupings together received 48% of the votes. The Citizens Party (C’s), a Right-wing Catalan political brand that has gone national, emerged at the head of the pro-Madrid opposition almost with 25 seats compared to nine in 2012. The PP and the PSOE (Spanish Socialist Workers Party), which alternate in the national government, lost votes and seats, especially the former. The pro-Madrid parties received 40% of the votes, principally from the elderly and the normally apathetic poorer Spanish working class voters in Catalonia who seem to have turned out this time, fearing independence. The clearly identifiable loser on the Left was Sí que es Pot (Yes we can), the regional derivative of Podemos, which won 11 seats, about a third of its own worst estimates. The Podemos-led third way coalition supported an independence referendum but wanted the province to stay in Spain. It was squeezed out by the polarised vote but was also given a more generalised warning that it will not emulate Syriza in the December elections. Spain is tiring of Podemos leader Pablo Iglesias’ constant attention-seeking theatrics. Tea leaf reading at this point gives way to the sharper (Donald) Rumsfeldian logic. The “known knowns” of the situation (things we know we know) are that Catalonia has become a highly politicised part of Spain even as apathy runs strong in the rest of the country. The pro-independence segment of the population has stabilised at about half the population and it could squeak through with a referendum victory if Madrid allows one, which it won’t. This suits the Catalan regional leader Artur Mas and his Democratic Convergence Party, a pro-business grouping tainted by charges of corruption and misgovernance. Keeping the Catalan independence issue on the boil distracts attention. The PP government in Madrid is not too displeased either. Aware that it is losing support, which is heading the way of the party of the C’s, it will hope that a running verbal battle with Barcelona will pay electoral dividends. The “known unknown” (knowing there are some things we do not know) is if the Catalan nationalists, without 50% of the votes, will push through with the route map of unilateral independence as they had warned before the elections. The government of Prime Minister Mariano Rajoy has said it will use all judicial means to stop that from happening. Retired generals have warned that the military will not watch Spain crumble. The Catholic Church hierarchy has opposed Catalan independence. Neo-Nazi and pro-Franco groups have been hitting the streets to whip up nationalist passions. There are no “unknown unknowns” (the ones we don’t know we don’t know) to report of at the moment. Perhaps the only way to find one is by falling off the Rumsfeldian epistemological cliff. Spanish nationhood is creaking with Catalonia, the Basque country, Valencia and Galicia all seeking in different degrees to wrest free of central control. Franco’s ghost still haunts Spanish federalism. The dictator tried to crush vernacular languages, cultures and identities in his obsession with a hegemonic Spain, held together by nationalism, military, the Church and violence. The past was never exorcised after his death and the Spanish establishment unmistakably bears Franco’s imprint. The subprime crisis hit Spain hard with high unemployment, precarious jobs, poor wages and inadequate labour laws. Hundreds of thousands have lost their homes for failing to pay the banks. Its gag law (ley mordaza), aimed at curtailing popular protest, is the most retrograde in Europe. The results of the Catalan elections are perhaps an indication that many of its citizens have reached a point where they think they could do better without Madrid. Just before 6 p.m. on September 26 a year ago, about a hundred first-year students of a rural college in Aytozinapa in the state of Guerrero, Mexico, set off on two coaches for nearby towns. Their mission was to commandeer buses to take them to Mexico City for the commemoration of the October 2, 1968, student massacre days before the Olympics games. They did not know they were being tracked from the moment they left their campus or that they had been infiltrated by an active duty soldier. Neither were they aware that for many of them it would be the last day of their lives. Three of them would be killed that night and 43 others would disappear into the darkness. The Ayotzinapa “normal rural” (rural teacher training college), part of a dwindling chain set up almost a century ago in the heat of the Mexican revolution, caters to young men from impoverished families in a territory criss-crossed by rival drug gangs. Nearby is the glittering tourist resort of Acapulco, famed for its cliff divers and hedonistic nightlife. The rurales have never gone down well with the clergy and the government for their insistence on social justice and political activism. The one in Ayotzinapa is more troublesome than most and counts among its former students Lucio Cabañas, who led armed guerrillas in the mountains of Guerrero state and was killed by the army in 1974. The students reached the centre of Iguala town a little after 9 p.m. on the hijacked buses when hooded armed men trapped their convoy in expert crossfire. Some scattered into the neighbouring streets and hid themselves on rooftops or behind bushes but 43 of them were picked up and loaded on to pickup vans, never to be seen again. Another group of Ayotzinapa students reached Iguala around 11 p.m. to rescue their comrades. They called the local press to the site of the attack, where they were fired upon while speaking to the journalists. Two of them were left to bleed to death. The body of a third student was found in the morning with his eyes gouged out and without his facial skin. Another bus carrying the local football team was also mistakenly attacked that night with three more deaths. The next morning, the ambitious local mayor, who had amassed an inexplicably large fortune, denied any knowledge of the night’s events, saying he was dancing at that time. His wife is from a notorious drug family and she wanted to replace him as the town’s mayor while he aimed for the state governor’s post. The federal authorities at first blamed the students and tried to pass it off as one more crime in one of the country’s most violent states. With growing popular indignation and an international media scrum after locals began finding mass graves around Iguala in the search for the disappeared, the Mexican government scrambled for a more credible explanation. The new official version was that the students had come to town to disrupt a function organised by the mayor’s wife. The mayor asked the local municipal police to do something. They then arrested the trainee teachers, took them to the police station and handed them over to the dreaded Guerreros Unidos (Guerreros United) drug gang, which executed them and burned their bodies to dispose off the evidence. At one time, it was suggested that wild animals might have eaten up the remains. Twenty-two local policemen were arrested and the mayor and his wife, who had gone into hiding, were picked up in Mexico City as intellectual authors of the crime. Soon afterwards, four men admitted to the killings. The federal police and the army had played no part in the events, the government claimed. Every single of these assertions has been proven to be demonstrably false. An investigation by the Mexican magazine Proceso, together with the University of California, Berkeley’s Investigative Reporting Program, revealed that the students had reached Iguala at least two hours after the mayor’s wife ended her programme. They were unarmed and in grainy videos on their mobile phones they kept asking the policemen why they were being shot at. They identified federal policemen among their attackers. The local police did not possess the weapons with which the students were fired upon. A magistrate present at the police station that night, who has since fled to the United States fearing for his life, said the students were not brought there. The only ones in the cells were some drunks who were let off after paying a fine. Some of the policemen who admitted to having turned over the students had torture marks on them. The four killers turned out to be poor builders, again tortured to confess to the crime. One of the disappeared students somehow sent a text message to his mother some time after midnight asking her to put some money into his account. The students were either held or driven somewhere for at least four hours before the decision was taken to eliminate them. The army was aware from the start of the goings-on. There is a military base not far from where the students were killed. A local army officer came to the police station that night on the pretext of locating a stolen motorcycle and had a good look around. Soldiers questioned and photographed some of the injured students who had made their way to the local hospital and threatened to disappear them. The army formed part of the local C4 (Control, command, communication and computation) centre where the municipal, state, federal police and the military share intelligence and CCTV footage. The government and the army are not allowing the soldiers to speak to independent inquiry teams. Argentinean forensic anthropologists brought in by the parents of the students and specialist investigators of the Inter-American Commission on Human Rights (IACHR) say there was nomass incineration at a garbage dump in a wooded area as the government had claimed. More than 30,000 kg of wood or 13,300 tyres would have to be lit for 60 hours to dispose of the bodies. The plume of smoke would have risen to at least 300 metres, making it clearly visible from the nearby towns, and the flames would have been enough to set off a forest fire. Almost no one other than the parents believes the students are alive. Five buses were involved in that night’s events but the official inquiry speaks of four coaches. The emerging unofficial consensus is that the fifth bus either had a large stash of money or drugs on board for which the students were killed. Locals fear that the bodies were incinerated at a crematorium that the local army base is rumoured to have. No one knows for sure how high on the order came from, but the negligence of the official inquiry lends credence to the belief that the state either participated directly in the killings, or is protecting those who carried it out. It took President Peña Nieto ten days to order an inquiry. At his first meeting with the Ayotzinapa parents, he made sure he looked suitably contrite but has done little more since then. Ahead of the second meeting on September 24, a second “killer” has surfaced and the remains of a second student identified. The only certainty this adds is that the government knows far more than what it is letting out. The parents of the Ayotzinapa students have kept up a dogged campaign for a year with the battle cry: “They took them alive, we want them back alive”. Their movement has radicalised Mexico but that does not mean the state will give in easily. At the meeting with the parents on September 24, President Peña Nieto promised a second inquiry. Mexicans will be sceptical of his intentions, believing so far that his administration has been prevaricating and stalling on the issue. The students were on their way to the capital to remember the hundreds of victims of the 1968 massacre ordered by the then President and carried out by the police and the army. The Mexican state covered up that slaughter and will hope to do the same with this one. After all, thousands of civilians have disappeared on Peña Nieto’s watch without any significant threat to his rule. Nicolas Maduro Moros won the Venezuelan presidential elections of April 14 with something approaching the bitter taste of defeat. His tiny victory margin invited real questions if Hugo Chavez’s decision to name Maduro as his successor was a rank mistake. The Chavistas were on the back foot, bewildered by their poor harvest of votes and petrified that they were looking at the end of the revolution. Then the Opposition candidate, Capriles Radonski, came to their rescue, claiming that the elections had been stolen and that Maduro was an illegitimate President. Capriles ordered his supporters to take to the streets with a thinly disguised call for violence. Eleven Chavistas were murdered and many more injured in the two days of mayhem on April 15 and 16 and health centres, Socialist Party offices and state-run food shops burnt down. Radonski called for pot banging (cacerolazo) protests and a march to the centre of Caracas, a repeat of the hours before the April 2002 coup. Big business toyed with the idea of a general strike but backed down when the fiery Blanca Eekhout, second Deputy Speaker of the National Assembly, announced that workers would occupy businesses that downed shutters and banks flirting with any coup attempt would be nationalised. The Chavistas saw in all of this a trailer of what awaited them should the Opposition come to power. Their leadership worked out the Opposition game plan was to trigger a fratricidal conflict as a prelude for U.S.-Spanish sanctions and military intervention. They held back from retaliatory attacks but Maduro threw down the counter-challenge that the Opposition march would not be allowed into Caracas. Radonski backed down; that was the moment the initiative passed back to the Chavistas. In his first hundred days (April 22), the first Chavista President has held the line and pushed back the Opposition inside the country and abroad. The Opposition mobilisation has fizzled out: if they banged pots and pans, the Chavistas put on their music at full blast and set off fireworks. The military has remained loyal to the government and the unity of the movements and parties of the revolution has held till now. Maduro has made it clear he is no pushover and Capriles, till the other day a menacing figure, now appears more like a Don Corleone with a plastic baseball bat, pleading with the Catholic Church for a dialogue with a government he does not recognise. Thwarted at home, the Opposition sought to internationalise their campaign to delegitimise the government with Colombia, Spain and the USA as their first ports of call. When President Santos received Capriles in Bogotá, he had perhaps not bargained for Maduro’s reaction. Caracas responded with fury and froze the rapprochement between the two countries. Colombia, proud of its military muscle and of its influence in Washington, is not used to being shouted at by its neighbour, but equally it has to live with the fact that the loss of the Venezuelan market can be devastating for its economy. When Santos whimpered that this was all a misunderstanding, other Latin American governments washed their hands off Radonski. Now Santos has sent an emissary to Caracas asking for the two Presidents to meet again. The Spanish Foreign Minister received a very public rebuke from Maduro for suggesting the President should conciliate with the Opposition and promptly recognised the legitimacy of the Venezuelan government. Unasur, the regional bloc of South American countries, came out in favour of Caracas and so did the Organisation of American States. The USA has begun talks with Venezuela on restoring a degree of normalcy in their relationship but the Snowden issue will have its effect. None of the Opposition’s friends in South America, other than in the corporate media, will publicly endorse them for now. The dreams of a grand comeback tour have quickly become a big flop show. Even as a cockroach with one antenna, the Opposition has been sniffing for trouble in food scarcity, high inflation, power cuts and rampant crime in the country. The objective is to stop Maduro from governing and stoking up public disaffection so that the citizens either take to the streets, join sectoral strikes leading to a colour revolution (presumably not red) or cast a protest vote large enough to overturn the slim Chavista majority. Maduro’s government has tackled each of these issues – but criminality more than anything else – with enough energy and some success to convince the population of its seriousness. Maduro’s great innovation has been what he calls the “street government”. The President and his ministers have been visiting the states, interacting with the local administration and the communities to tackle specific local problems. The popularity is reflected in the latest results of the Venezuelan research group GIS XXl which normally offers the most accurate results: 62% of Venezuelans have a high regard for the initiative and less than a fifth think poorly of it; less than a third think poorly of the overall performance of the new government or of Maduro; only 22% think the Opposition is doing a good job and 26% that Radonski is up to the mark while 46% think negatively of him and 48% the same about the Opposition. Other independent polling organisations give Maduro an 11% lead over his rival. This suggests that the Opposition is being pushed back to levels where it was before the October 2012 presidential elections which it lost to Chavez by 11% although the actual results the next time might not be quite as flattering. In April this year, Maduro emerged from the shadows as Chavez’s most trusted backroom boy, with almost no public profile or acceptance, to take charge of an election campaign lasting just 10 days and almost lost it. In the short period since, he has calmed Chavista nerves and outwitted the Opposition. He is starting to develop his own style of presidency. 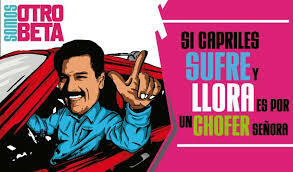 But, while he has won the crucial first skirmishes, another tough test awaits him at the end of the year in the mayoral elections when it will be tested if the voters who deserted Chavismo will return to its fold. This will be accompanied by fierce resistance to the drive against speculation, including possibly an all-out economic war to be timed for just before the municipal elections. If Maduro has hit the ground running, he will have to keep sprinting, both to corral his enemies and to make sure they do not take him down from behind. 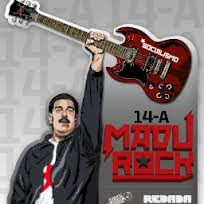 Nicolás Maduro Moros ganó la elección presidencial de 14 de abril con casí un amargo sabor a derrota. Su mínimo margen de superación llevó a duras preguntas, si la decisión de Hugo Chávez de nombrarlo como su sucesor era una evidente equivocación. Los Chavistas estaban a la defensiva, desconcertados por su pésima cosecha de votos y temerosos que el fin de la revolución estuviera a la vista. En ese momento preciso, el candidato de la oposición Capriles Radonski, vino con su gallardía a rescatar los chavistas con su afirmación que la elección fue robada y Maduro era un presidente ilegitimo. Capriles ordenó a sus partidarios salir a las calles sin ningún disfraz a desatar la violencia (“salgan y descarguen su arrechera“ afirmo el opositor Capriles). Once chavistas fueron asesinados y mucho más heridos entre 15 y 16 de abril además de que ambulatorios, oficinas del Partido Socialista Unido de Venezuela y almacenes del estado fueron incendiados. Radonski llamó a un cacerolazo y una marcha al centro de Caracas al 17 de abril, justo casi a las mismas horas del golpe de abril 2002. El gran capital estaba contemplando sumarse a una huelga general pero se echó para atrás cuando la apasionada Blanca Eekhout, segunda vicepresidenta de la Asamblea Nacional, advirtió que las empresas en paro serían ocupadas por los obreros y la asociación de bancos privados, si coqueteaban con un golpe, los nacionalizarían..
Los chavistas vieron un tráiler escalofriante de lo que hubiese pasado si la oposición hubiera ganado el poder. Su liderazgo entendió el juego de la oposición de provocar una guerra fratricida como un preludio de sanciones por parte de los Estados Unidos y de España y luego una intervención militar y evitó un contraataque pero Maduro lanzó un desafío a la oposición que su marcha no sería permitida para llegar al centro de Caracas. Radonski reculó y en ese momento los chavistas una vez más reconquistaron la iniciativa. En sus primeros cien días (22 de abril), el primer presidente chavista se ha mantenido firme y ha hecho retroceder a la oposición, dentro y afuera del país. La oposición se ha desinflado: si ellos pidieron cacerolazo, los chavistas respondieron con música a todo volumen, con fuegos artificiales y consignas de amor. La fuerza armada se mantuvo leal al gobierno legitimo y a la unidad de los movimientos y partidos de la revolución que hasta hoy continúan intactos. Maduro ha dejado claro, bien claro, que él no es ningún pelele pero Capriles, hasta poco una figura amenazadora, ahora con un profundo parecido a Don Corleone armado con un bate plástico de béisbol, suplicando a la Iglesia Católica efectuar un diálogo con el gobierno que él mismo no reconoce. Frustrada internamente la oposición, intentó internacionalizar su campaña para deslegitimar el gobierno con sus primeros paradas obligadas en Colombia, España y EE. UU. Al recibir a Capriles en Bogotá, el presidente Santos quizás fue inconsciente de como reaccionaría Maduro. Caracas respondió con una virulencia inesperada y congeló la reconciliación con su vecino. Colombia, con su soberbia militar y confiada sobre su influencia en Washington, no está acostumbrada a recibir regaños desde Venezuela, pero también es innegable que este pais es uno de sus principales mercados y su perdida pudiera ser devastadora para su economía. Cuando Santos gruñó que todo era un malentendido, los otros gobiernos del continente lavaron sus manos de Radonski. Ahora Santos ha enviado un emisario a Caracas pidiendo un dialogo entre los presidentes. Después de que Maduro públicamente reprochó al canciller de España por su sugerencia que el Presidente debería conciliarse con la oposición, salió rápidamente reconociendo el gobierno de Venezuela. La Unasur, la agrupación regional de los países de América Latina, salió en defensa de Caracas. Los Estados Unidos está negociando con Venezuela aunque el caso Snowden por seguro tendrá su efecto. Por ahora, ninguno de los amigos de la oposición en el continente, menos los medios privados de comunicación, van a respaldarlos. El sueño de un gran giro internacional se ha hecho un fracaso anunciado. Si, parecida a una cucaracha con sola una antena, la oposición está husmeando, tener una oportunidad en la escasez inducida de comida, la alta taza de inflación, los apagones y el crimen descontrolado en el país. El objetivo es hacer imposible que Maduro pueda gobernar y echar leña a desafección publica para que los ciudadanos participen en huelgas sectoriales y luego en una revolución de color (presuntamente no rojo) o lograr un voto de castigo suficiente para anular la estrecha mayoría chavista en una elección en el futuro. El gobierno de Maduro ha abordado cada uno de estos asuntos – pero sobre todo en la criminalidad – con suficiente fuerza y algo de éxito para convencer la ciudadanía de que él esta enfocado en su trabajo. La gran innovación de Maduro ha sido su “gobierno de calle” en el cual su gobierno va a los estados, interactuando con las administraciones y comunidades locales para abordar problemas específicos. Esta popularidad está reflejada en los números del grupo de investigación GIS XXl que suele dar los resultados más confiable: 62% de los Venezolanos tienen una valoración positiva sobre la iniciativa y menos que un tercio tiene una impresión negativa de los esfuerzos del gobierno o los de Maduro; solo 22% piensa que la oposición va en buen camino y 26% piensa que Capriles tiene liderazgo; 46% tiene una impresión negativa sobre él y 48% reacciona negativamente sobre la oposición, demostrando que la oposición está retrocediendo a nivel de antes de la elección presidencial de octubre 2012 la que Chávez ganó con 11%, aunque los resultados reales para las elecciones futuras, quizás no sean tan amplios. En abril de este año, Maduro surgió de las sombras como el ayudante más confiable de Chávez, con casi ningún perfil, ni aceptación publico, para manejar una campaña electoral que duró solo 10 días y que casi perdió. En este rato, Maduro ha calmado las ansiedades de los chavistas y ha emergido como más astuto que la misma oposición. Esta en desarrollo de su propio estilo y liderazgo. Pero, aunque ha ganado las primeras escaramuzas, le esperan pruebas más difíciles a finales de este año en los comicios por las alcaldías, cuando saldrá a la luz si aquellos quienes renunciaron el chavismo volverán a su fila. También vendrá una resistencia feroz alrededor de la ofensiva contra la especulación y hasta habrá la posibilidad de una guerra económica total sincronizada a los comicios del 8 de diciembre. Claro que sí, Maduro ha empezado con un sprint pero tendrá que recorrer a toda velocidad, tanto como meter a sus enemigos en un corral y asegurarse de que ellos no lo den una puñalada por la espalda. The Dark Side of the White Lady: Chile's flagship schooner which travels the world as its goodwill ambassador but served as a torture chamber after the coup, something the country doesn't want to recognise.